The 2018 Met Gala’s theme was Heavenly Bodies: Fashion and the Catholic Imagination, and celebrities provided exactly that. From Rihanna channeling her inner Pope to Lena Waithe’s rainbow pride cape, the stars were out looking their divine best. Black Panther star Chadwick Boseman was no exception. Boseman arrived at the Met Gala clad in a white Versace cape adorned with crosses and tassels over a white suit and sparkling gold shoes. 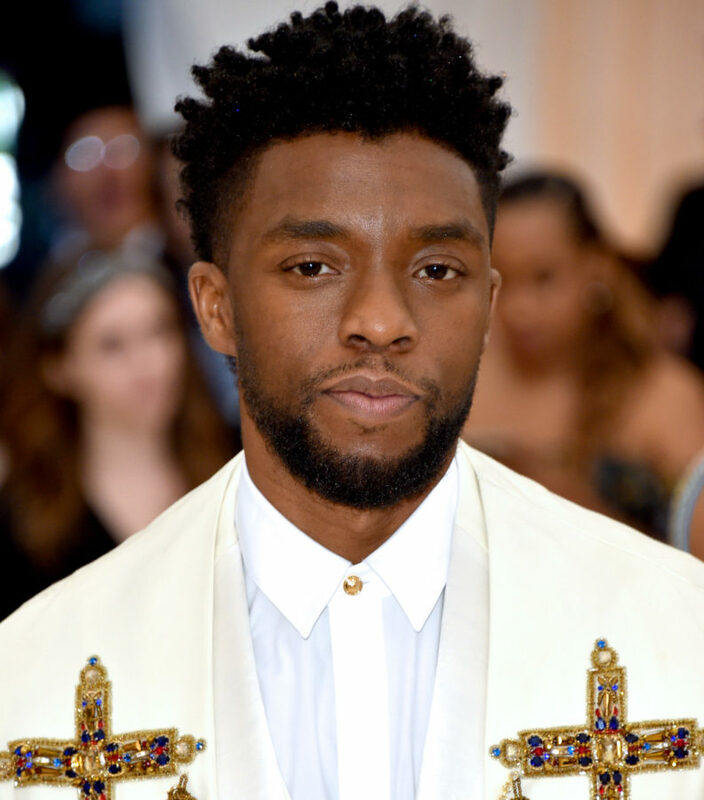 Needless to say, Chadwick Boseman showed up at the Met Gala looking like a religious superhero. Even Bradley Cooper and Irina Shayk wanted to get in on Boseman’s heavenly grace. The couple, who, according to People, walked on the red carpet at the gala together for the first time, photobombed a picture of Boseman posing by himself. They, too, wanted to soak up as much as Boseman’s divine presence as possible. After that run-in, Bradley had a moment later in the night to pose with him. 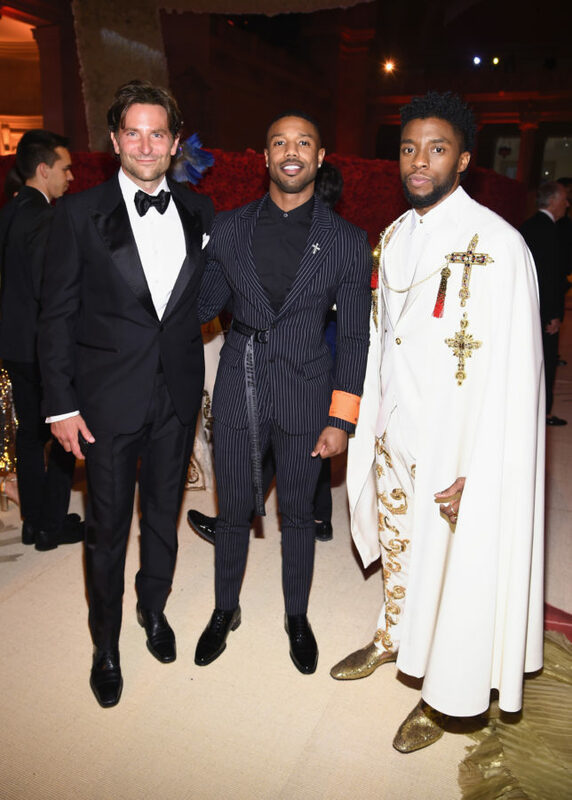 Boseman, fellow Black Panther actor Michael B. Jordan and Cooper took a not-as-candid photo together at the gala. A holy trinity if ever there was one.